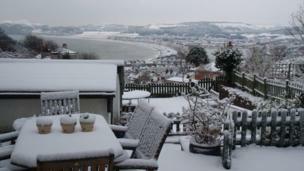 Further warnings are issued for snow, sleet and rain in parts of the UK, as the wintry weather continues into spring. Further warnings have been issued for snow, sleet and rain in parts of the UK, as the wintry weather continues. 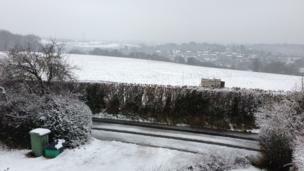 Russell Jackson from Pratts Bottom, Orpington, Kent sent us this photo of a snow-covered field which can be seen from his house. Lisa Webb was trying to get to a rugby match in Rome, Italy on Saturday morning. 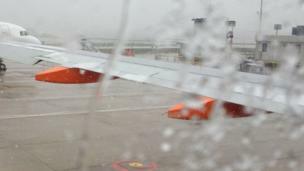 She had been on the plane at Gatwick for four hours when she sent us this photo. John Boyd is currently stranded in Newtownabbey, Northern Ireland. 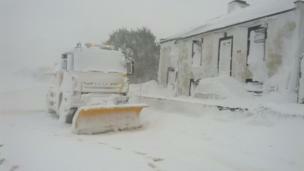 He tells us: "We need a snow plough as soon as possible." Rebecca Hindle from Bradford sent us this photo of the ruler which gives an idea of the depth of snow in her back garden. 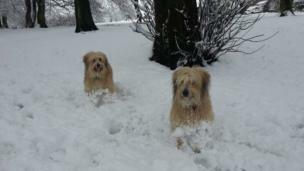 Rebecca says that snow is still coming down in her area. 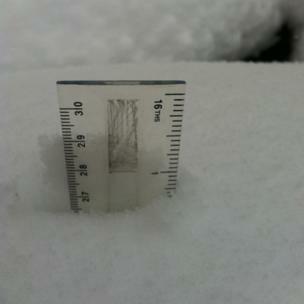 In Coedpoeth, Wrexham nearly two foot of snow has fallen in the past 24 hours. 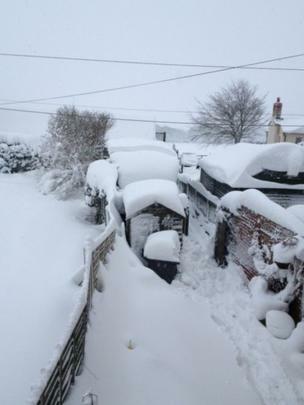 Linda Cartledge said: "We have no power and the snow plough has not been through at all. We are completely stranded with no electricity and the council can't get to us." 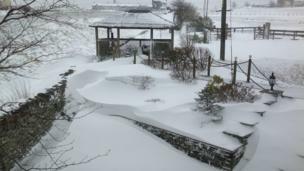 Alisha Rayson sent this photo overlooking her garden gazebo and driveway in Blacksnape, near Darwen, Lancashire. She said: "It's stopped snowing but it's cold and windy." Photo: Alisha Rayson. Dave Tipping is currently on holiday in Wigtown, Scotland. He sent us this photo of an abandoned vehicle on the A714 south of Wigtown. It's not just travel around Scotland that has been disrupted. 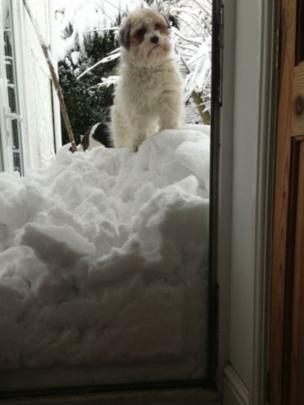 Heather Wilson's dog Smudge was left a little confused by the appearance of a "snow hill" blocking his entry. 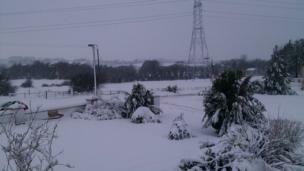 Heather took this photo in Drury, Flintshire on Saturday. Many vehicles have been abandoned due to the bad weather. 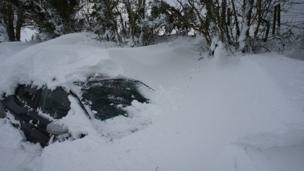 Chris Newman sent us this photo of a just visible car in Chorley, Lancashire. 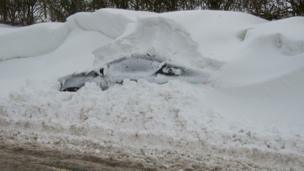 Snow drifts in Cumbria have completely buried cars, trucks and almost this snow plough. Photo: Matthew Wood in Waberthwaite, Cumbria.